MasTec is NZ's distributor for Powercom and their solar partner TGE. Powercom and TGE have invested heavily in building a complete Solar fabrication plant making Multicrystalline silicon photovoltaic modules. 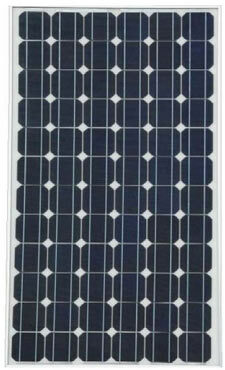 They have a range of panels from 85 to 270 watts with most running around 13.5% efficiency. Price per watt is excellent and their pricing is some of the best in the industry. MasTec can match or surpass many suppliers in Oceania in OEM bundled purchases. If you need grid tie inverters to match these panels Powercom has a full range of power inverters with excellent efficiency. Powercom's Solar King range of high voltage grid tie inverters are always 90% plus and in many cases 94%+ efficient, with no load wattages of 7 watts and sleep of <.1 watt. High voltage means the inverter run on any DC from 100 to 500VDC and therefore have very low cable losses, very high conversion efficiencies in the DC to AC sections. MasTec also has a range of Mono Silicon panels ask! MasTec distributes in Oceania, EP Solar and Powermaster, manufacturers of Solar Charger. 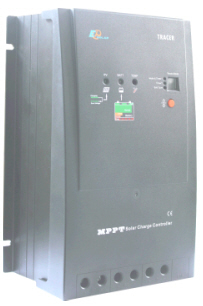 EP Solar has a large range of MPPT solar chargers from small right up to Solar Power Station chargers of 200 amps 96 VDC models. EP Solar even have solar hargers that can be mains connected that will power the load with solar but if the solar output is not sufficient will draw from the mains to make up the difference. They even have Dual battery solar controller for RVs, Caravans, and boats etc. This is such a convenience and economical way to keep all the batteries charged optimally. 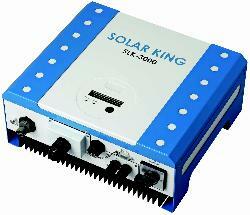 EP make a small range of Inverters suitable for some solar and alternative power systemss. There are models 400, 600 and 1000 watts with 50% overloads for 5 seconds and 100% overloads for 1.5 seconds. Idle power is moderate. There are 12, 24 and 48 VDC models. Expect a range of EP Solar grid tie inverters shortly. 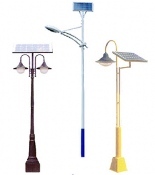 MasTec distributes in Oceania, EP Solar and Powermaster, manufacturers of Solar Street lighting. Both these companies have been invloved in Soalr street lighing for sometime. This is a very popular green energy initiative in Asia. MasTec has two research Solar Systems in place, running over the last decade. MasTec assists sites to replace large battery banks also, using 2V 750 to 1500 amphr cells in 12, 24 and 48 VDC configurations.